Today I'm in Chicago, but virtually in New York watching as many shows from New York Fashion Week as I can. Watching Fashion Week in pajamas sure beats the pressure of shopping and packing for looks to wear in New York, right? I woke up this morning, got my caffeine fix at La Colombe and cozied up with my computer to stream the Erin Fetherston show live here. I watched as the crowds poured in and the lights dimmed – show time! Erin immediately transported guests to the 1960's with pinafore dresses, chiffon dresses with cape overlays and plenty of lace. The collection was feminine, flirty and full of gorgeous pieces with movement – the models appeared to be floating across the runway. The pale and neutral color palette has me wishing for Spring 2016 now! The models looked fresh with their dewy make-up and loose long curls – they were effortless beauties. 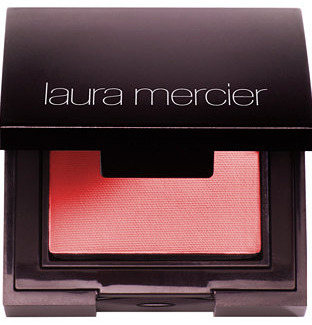 Recreate the look with a perfectly pinched cheek with the help of this Laura Mercier blush in Peach Whisperer. 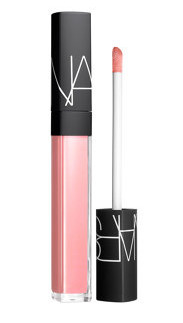 Gloss your lips in this pale pink gloss by Nars for a soft look. Finally, add a "fresh glow" to your skin with this Luminous Fluid Base by Burberry. An easy three-step process that takes the look from the runway to your home. 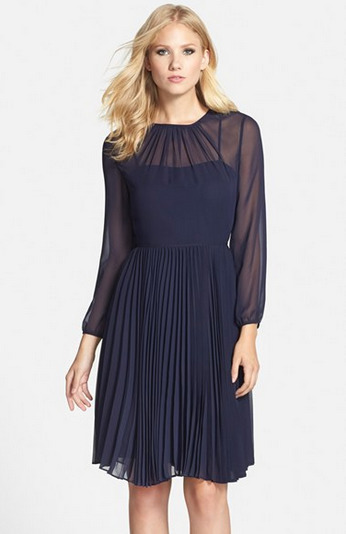 The collection as a whole was just dreamy, but there were a few standouts that had me wanting more (see above photos), but who wants to wait until Spring 2016 to get your hands on these pieces? Well, if you are impatient like me, you want them now! 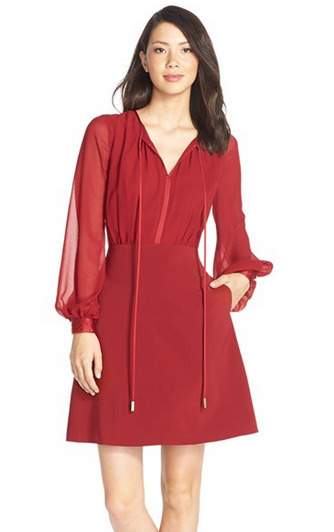 I found a few items just for you so that you can take Erin Fetherston's collection from the runway to your closet this fall. All of the silhouettes seen in the show are easily transferable to what we are seeing this fall, like the pinafore dress featured in the show. Nothing says "back to school" better than a good pinafore dress paired with a collared blouse and a pair of oxfords. 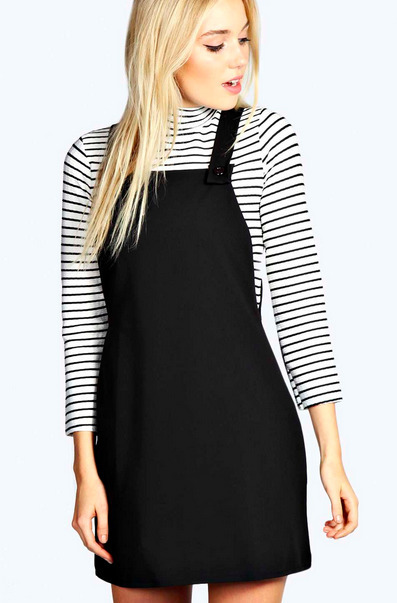 Shop similar pinafore dresses and more from the show below.